This year’s Regent Street Christmas lights were transported in Schmitz Cargobull trailers after a new order from Southern Van Lines, a company also responsible for festive displays in the City of London and towns across the Home Counties. Transport and logistics specialist Southern Van Lines has taken delivery of two new Schmitz Cargobull box trailers – using them to transport this year’s Regent Street Christmas lights. Southern Van Lines chose Schmitz Cargobull equipment after recommendations from other operators working in entertainment logistics who transport delicate bulky freight. 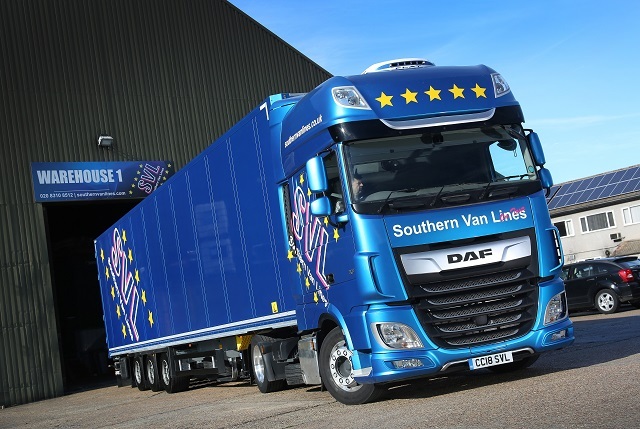 Director at Southern Van Lines, Charles Colley, says: “Nearly every company in our sector uses Schmitz Cargobull trailers and they all rave about the build quality. They’re perfect for everything we do from moving heavy sound systems to delicate lights or stage props. Constructed on a MODULUS bolted chassis for extra strength and durability, the new arrivals join a 40-strong fleet and will remain in service for at least 15 years, clocking up 100,000 km annually. They offer greater protection than a standard trailer thanks to Schmitz Cargobull’s FERROPLAST® panels, which are stronger than glass-reinforced plastic (GRP) and more resilient to any damage that could potentially harm fragile cargo. 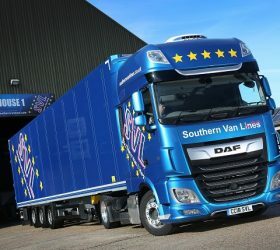 The panels are also thinner, increasing the trailer’s maximum internal volume and allowing Southern Van Lines to carry bigger payloads, reducing the need to use additional assets. For the company’s European work, Schmitz Cargobull’s 24-hour EuroService will also provide 24/7 maintenance support 365 days a year. The team can access support from expert technicians based at more than 1,700 authorised workshops across the Continent, who specialise in services such as axles, electronics and tyres.